View basket “Postcard | Meet the Locals of Copenhagen: Nerd Glasses” has been added to your basket. 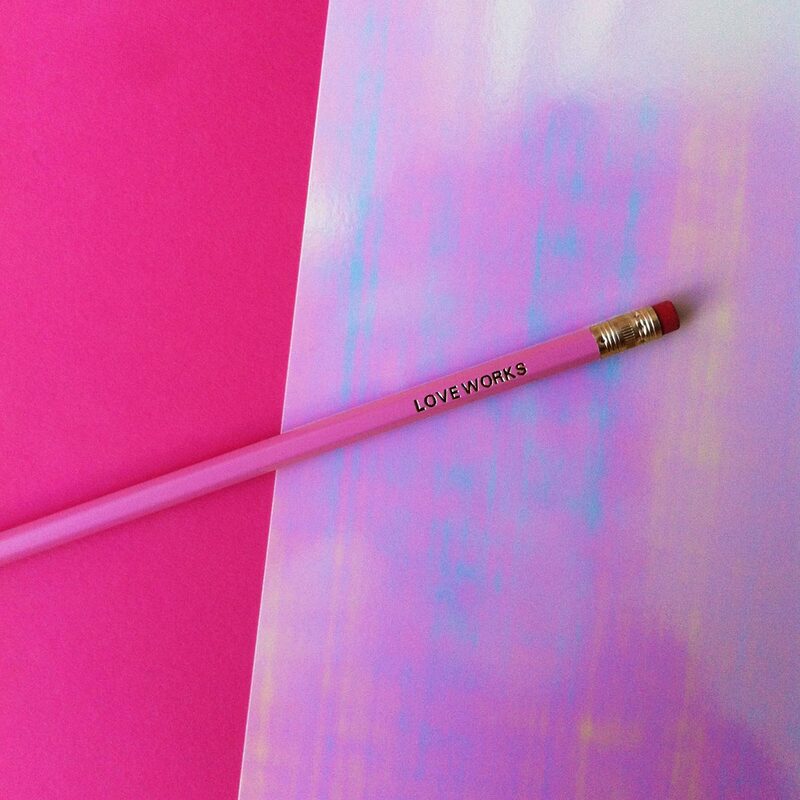 The pencil in pink features the text “Love Works” in gold foil. The 2B pencil has an eraser on top. Inspiration: “Love Works” is a collection about love. We start with focusing on the “romantic love” by providing an alternative to mainstream approach to Valentine’s Day products with cheesy illustrations or images of red roses or products put into heart shaped boxes. Instead, we focus on the feelings. We wanted go deeply romantic and sentimental. This is how we decided to present love poems from the 19th century poets; Emily Dickinsen, Percy Bysshe Shelley, Christina Rosetti, and Rainer Maria Rilke. The poems were applied on postcards with fine typography. 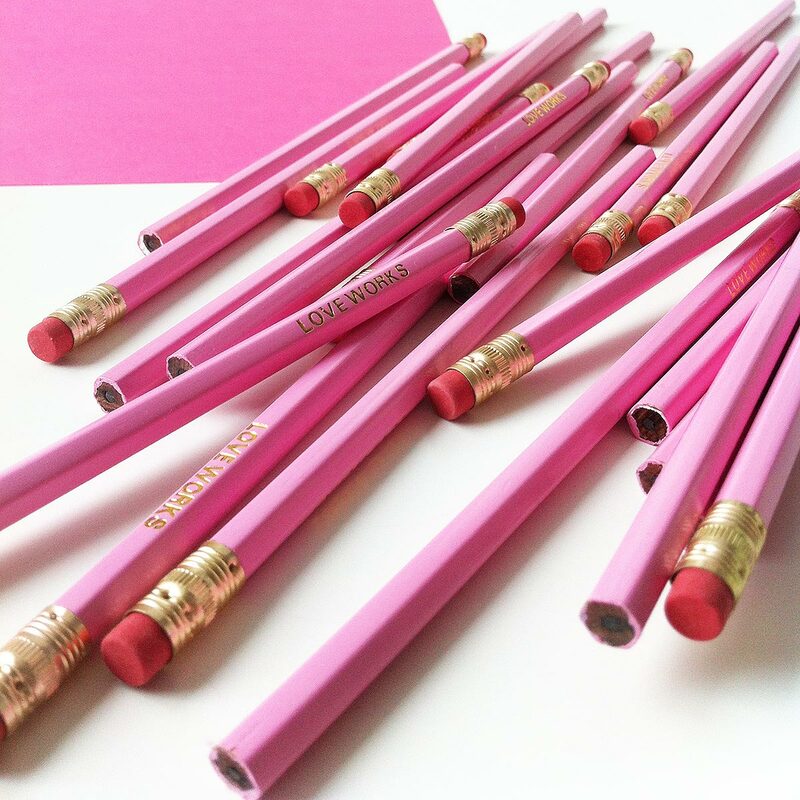 Description: The pencil in pink features the text “Love Works” in gold foil. The 2B pencil has an eraser on top.